The First Family. I found this on फेसबुक and I loved it. 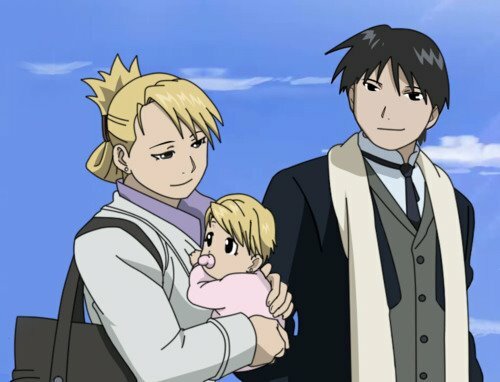 Wallpaper and background images in the फुल मेटल ऐल्केमिस्ट club tagged: fullmetal alchemist fma riza hawkeye hawkeye roy mustang. This फुल मेटल ऐल्केमिस्ट fan art contains मोबाइल फोनों के लिए, हास्य पुस्तक, मंगा, कार्टून, एनीमे, कॉमिक बुक, and manga. Awww!!! They look so cute together. Hawkeye and Mustang really make a neat couple.